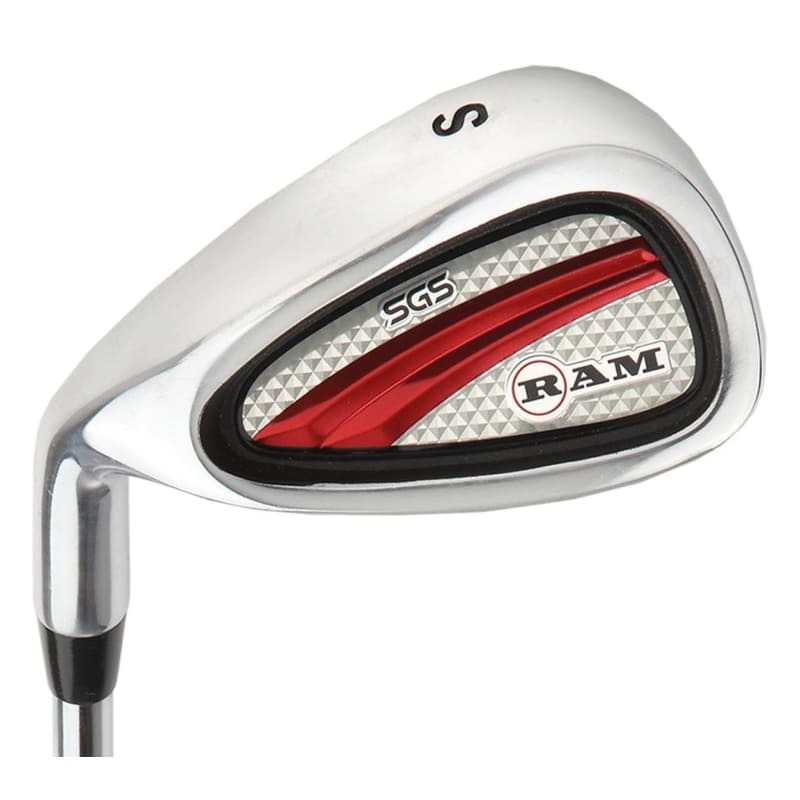 The Ram Golf SGS range is designed particularly for beginners and improving golfers. 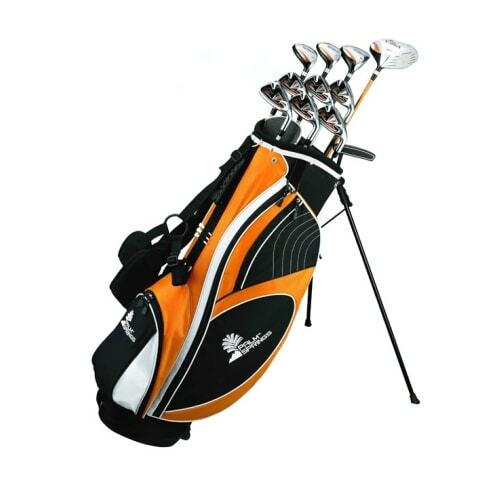 The SGS set includes the golf clubs you need to get out on the course, each one designed to help you play better golf. 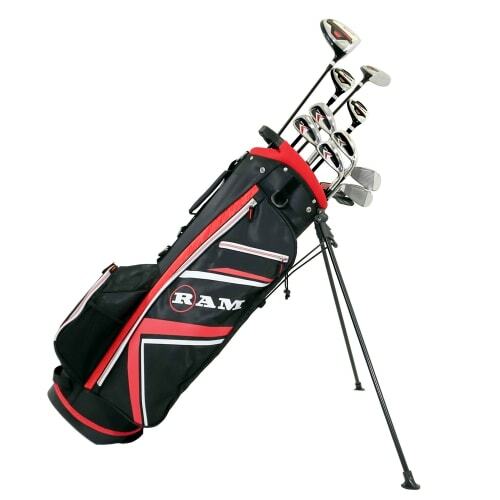 #3 FAIRWAY WOOD. 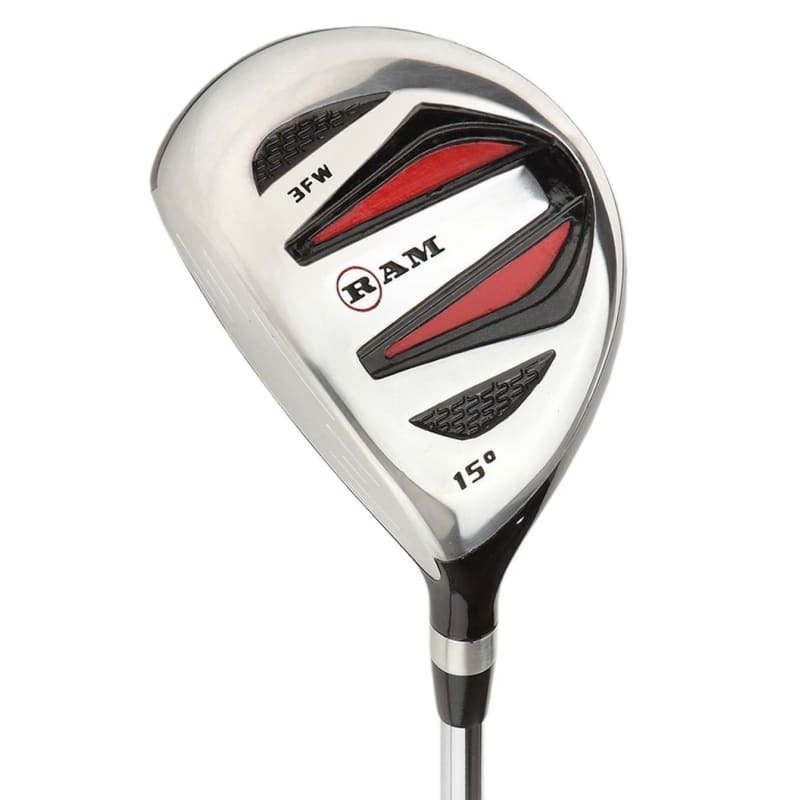 Though smaller than the driver, this 15°3 wood still has a large sweetspot, and is perfect for those long approaches when you are hunting eagles. steel shaft. 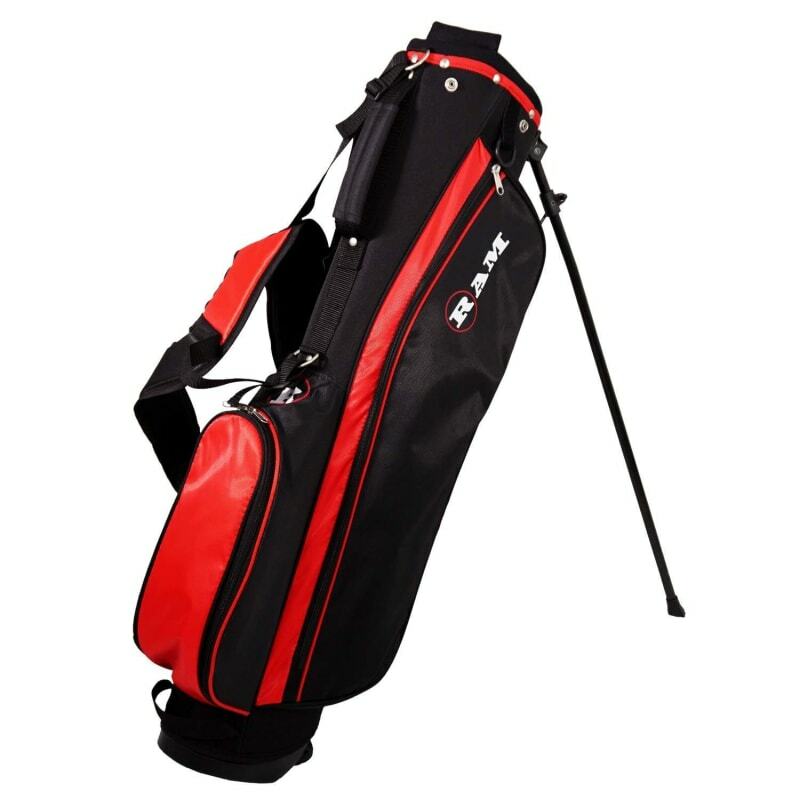 Headcover included. 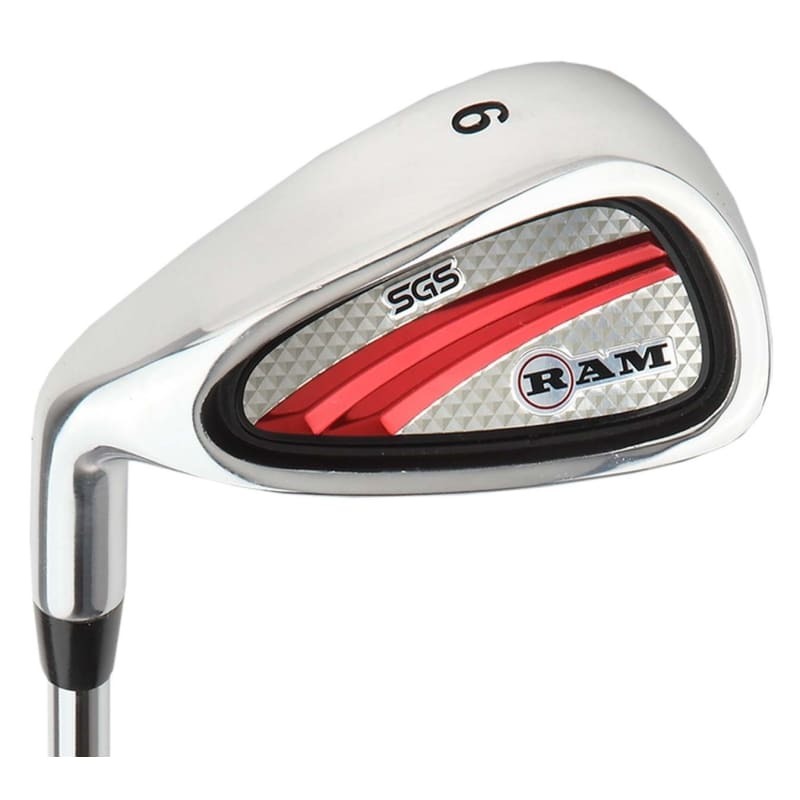 IRONS - 4 irons included - 5-7-9-SW. All with a deep cavity back design that helps with a higher moment of inertia, giving you more forgiveness on off-center strikes. 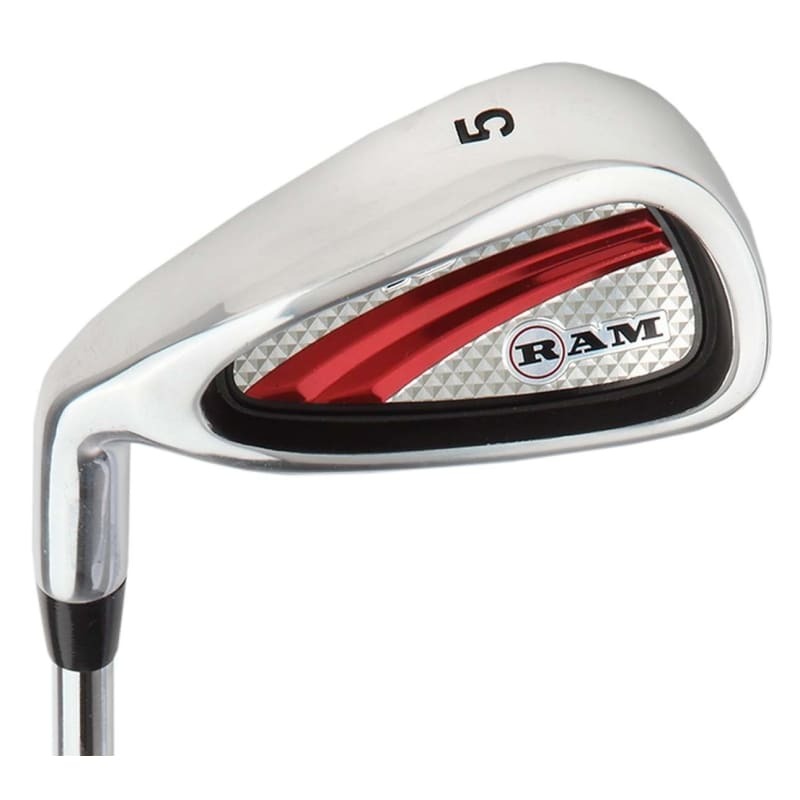 Fitted with steel shafts for even more precision. 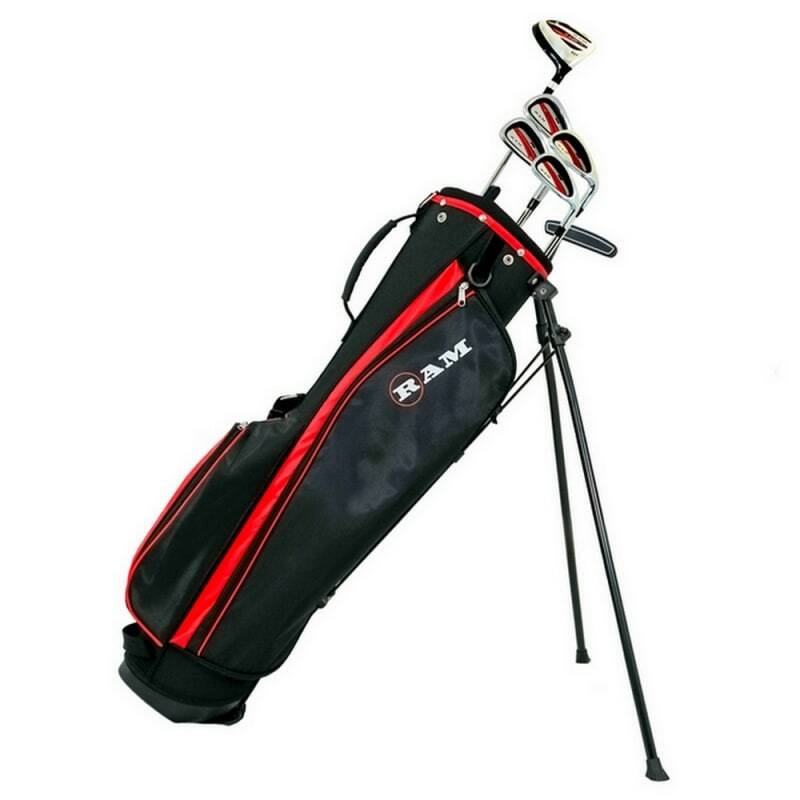 PUTTER - 35" blade putter. 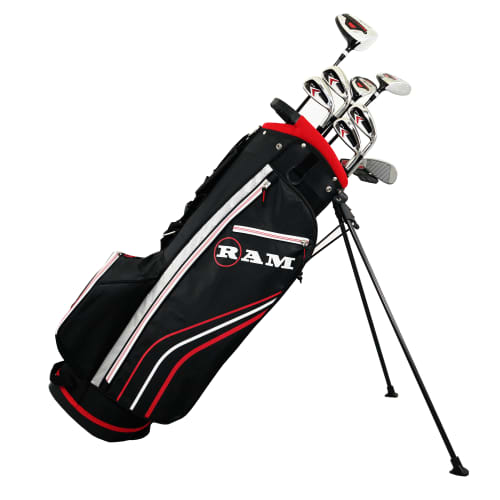 The putter completes the clubs. 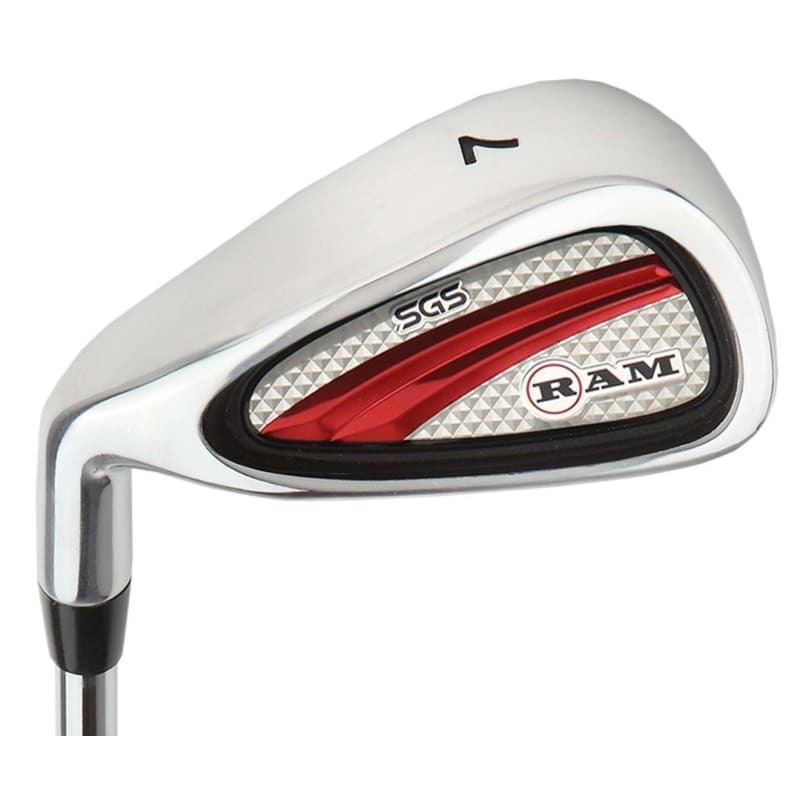 The unique head shape helps put more mass behind the point of impact for a more reliable and solid roll.